Mary Melton is a senior talent acquistion representative for Countywide Mechanical Systems. 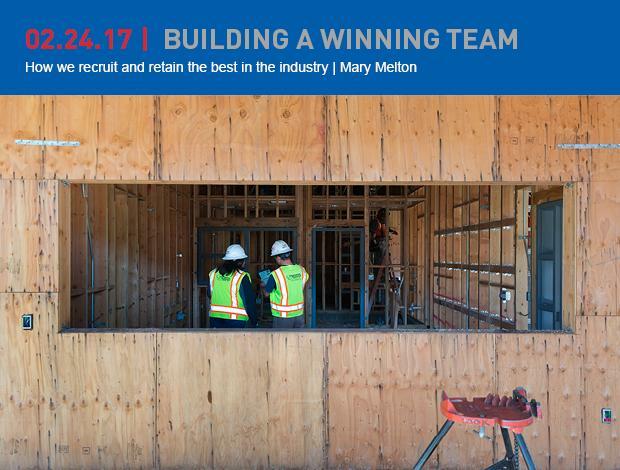 As the recruiter for the company, Mary attends college and career fairs across the country to find and hire the best in the construction industry. Our company has partnered with BirdDogHR for their Applicant Tracking System (ATS). This is a tool that helps us advertise our open positions on our company career page and job boards like Indeed, Monster, and Glassdoor. As a federal contractor, we have government guidelines we must follow in our recruiting practices, and our ATS has been instrumental in ensuring our compliance. We are also strategically utilizing the biggest online network of professionals — LinkedIn. We’re getting the word out there that we are hiring and positioning ourselves as an employer of choice and developing an online presence so prospective teammates have a better idea of who we area as a company, as well as get a feel for our outstanding culture. A big portion of my job is dedicated to College Recruiting. We’ve focused on maintaining and strengthening our relationships with existing universities, but we also worked to develop partnerships with universities we hadn’t recruited from before. We are seeing an increase in the number of summer interns that came from new university partnerships. This is helping us tap into a new pool of talent in the construction management and engineering programs while also creating a strong brand awareness for our company with future construction professionals. Recruiting isn’t an exact science, but there are things we can do to help secure the talent we want and need while representing our brand in the best light. We can ensure we always provide quality and timely communication during the recruiting process; candidates want to know where they stand in their employment discussions with us, and we can make or break their recruiting experience by how we do (or don’t) communicate. Our presentation is also key — having relevant recruiting materials (thanks to our marketing department!) helps us inform our candidates of who we are. We think about everything we put in front of candidates and how they would best serve those who are considering joining our team. From the banner display at a recruiting booth or the benefits overview brochure a candidate sees as they are interviewing for a position, we are proud of what we can offer and believe we have a great story to tell. Our goal is to recruit and retain the very best talent in our industry. For more than 80 years, hiring people who live our values of integrity, teamwork, entrepreneurial spirit, and quality craftsmanship have helped us get to where we are today. It’s our job to share our employment opportunities with relevant audiences and attract the best people to join our team of employee owners. By utilizing modern recruiting technologies, expanding our reach, and focusing on improving in areas that we can control, we are ensuring our recruiting success in this competitive job market.